Web (Tie) – Made of high density recycled plastic holds together the foam insulation and also functions as the Rebar chairs, Attachment Furring strip. The Open design on this web creates a flow channel for ease of concrete consolidation. Webs are placed on 6” increments allowing for a greater form strength. 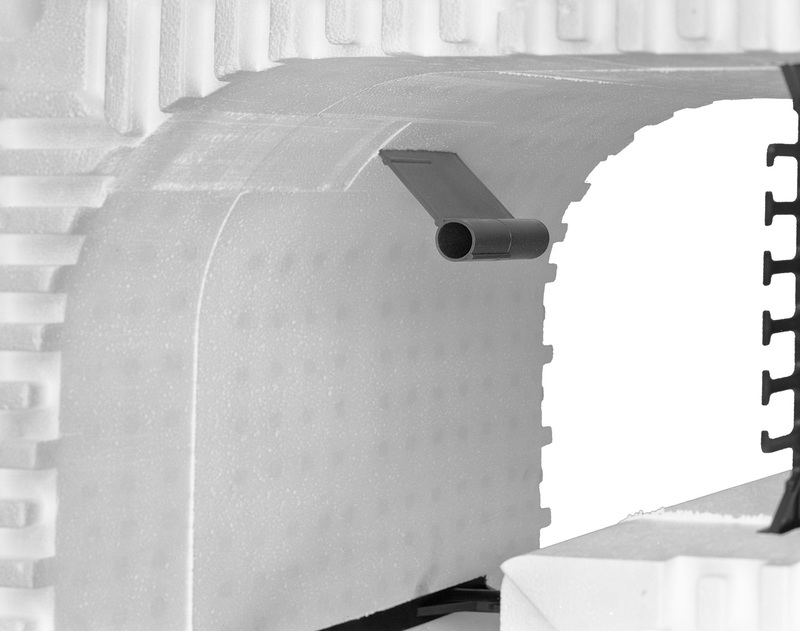 EPS Foam on either side of the form in 2.5” widths is the concrete form itself. Once poured, the foam acts as the insulation for your structure. Molded into the foam is a built in Ruler that includes cut lines to insure measurement and create an interlocking joint. Our 6” and 8” forms come “Ready to Stack”. They are fully assembled saving you labor cost over snap together forms. Start stacking right off the truck. The Forms are Fully Reversible with no top or bottom. There are no “left” and “right” corner forms. Reversibility allows for easier construction and less construction waste. Longer corners provide an automatic offset for each course. Forms have an Industry Standard Sizing of 16” high by 4 foot long providing less product waste around windows and doors than larger ICF forms. Tight interlocking forms with 1” cut pattern allow for a secure fit and no need to foam or clip every course. 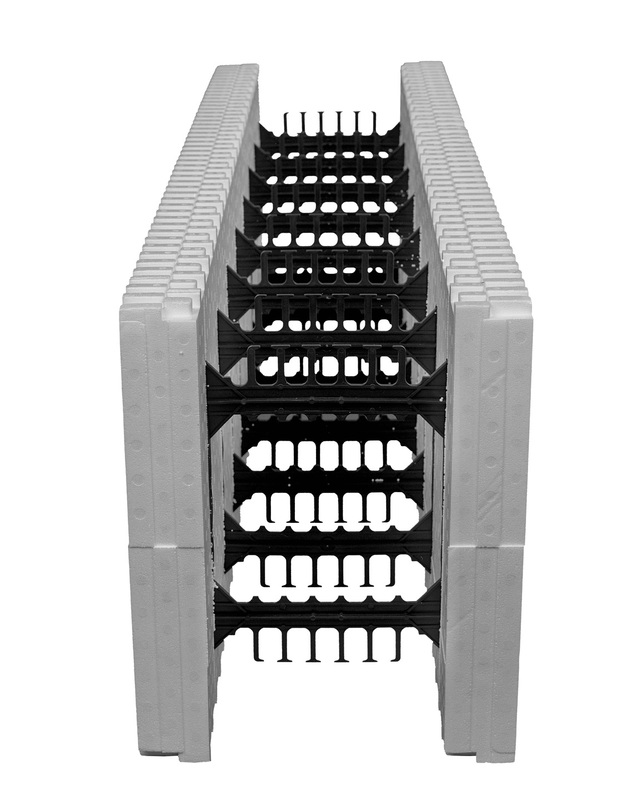 Blocks stack easily and securely lock into place. Overlapping rows is easier with the 1” cut pattern so you can avoid common seams on almost any layout. The 1” pattern allows for the lowest amount of construction waste in the industry. Plastic Web has an open design to help concrete flow during construction. The web also has deep rebar chairs deep and wide enough for 2 – #5 reinforcing bars, a full strength tie up and down (1.5” x 15” high) with two double strength attachment points on each side that allows for attaching almost any siding or hanging anything on the ties. Forms available include: Reversible straight form, 90 degree corner form, 45 degree corner form, Brick ledge form and a tapered top of the wall form. 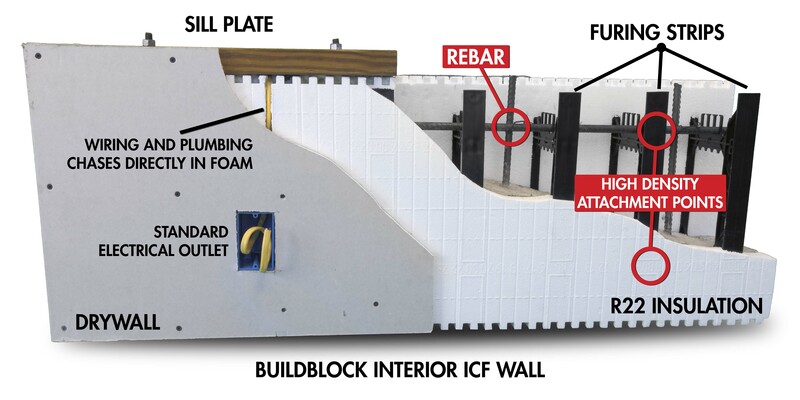 New Form’s ICF Bracing is 10’ Reechcraft ICF bracing and is available for purchase or rent. The bracing comes on a 12’ landscape trailer with a 2” towing ball for ease of on-site storage and transport. Foam 2 Foam Adhesive, a low expanding foam adhesive that binds together foam with foam, concrete or wood. It is used in various places when constructing with ICFs. It’s applied using a foam applicator gun and must be used with the foam gun cleaner. We carry all three items at our warehouse. Industrial sized Zip Ties, 36″ zip ties can be used as a mechanical connection between forms by securing webs together inside the wall. They are easy to install and also easy to remove if needed. For Waterproofing your below grade ICF Foundation, we recommend a peel and stick waterproofing. We carry a few different brands of peel and stick waterproofing as well as dimpled drainage boards that can be used in conjunction with the peel and stick waterproofing. ICF Ledger Connectors, for customers going more than one story with their ICF construction. 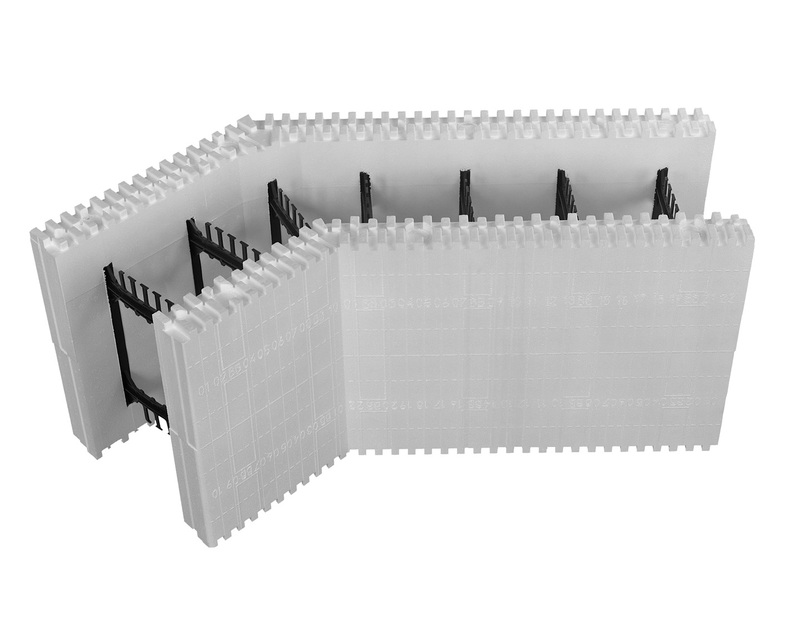 Simpson Strong Tie makes a ledger connector system that is easy to install your ledger board to your ICF wall. Hot Knives are typically used for installing electrical boxes and wires in an ICF wall. Hot Knife Kits are available for purchase from New Form. Although not in stock, we can get you a kit within a few days.